As Jesse and I often share our date nights here on the blog, I get quite a few emails from you guys asking for suggestions for Affordable Date Ideas. I am kinda sorta the queen of affordable. My friends and family have decided that I'm a bargainista because if there's any way you can get something cheaper, I'll find it. 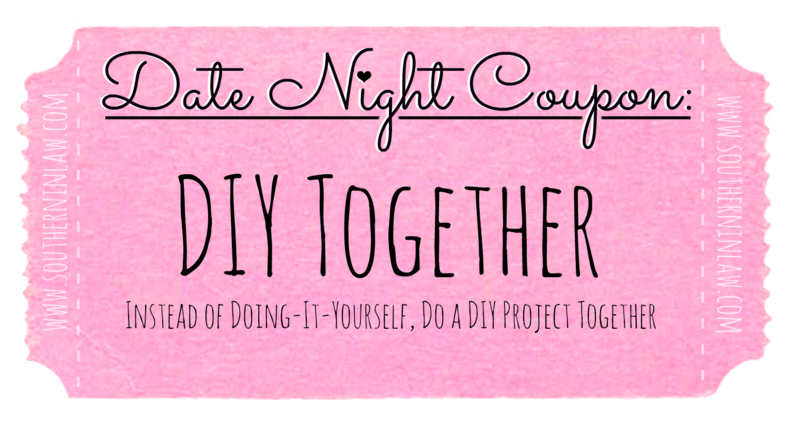 We're currently saving for our own home, so the amount that we can spend freely is very limited, so when it comes to date nights, we have to get creative! 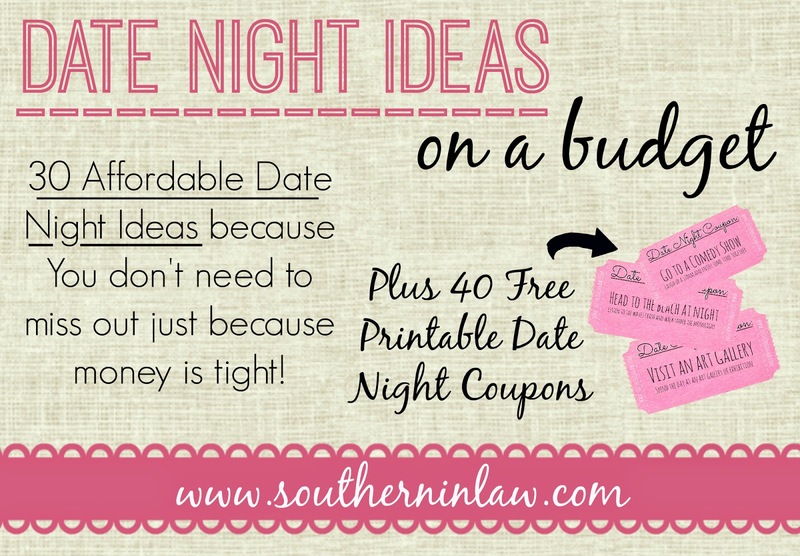 I thought I'd share 30 Cheap Date Ideas with you in this post (plus some printable coupons so you can make your own Date Night Jars) to inspire your own affordable date nights. 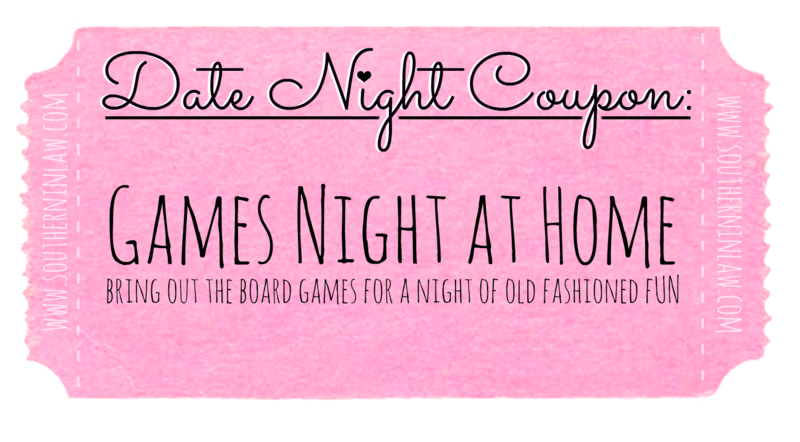 Have a Games Night at Home - one of the cheapest and quite possibly funnest cheap date night ideas. Bring out the old fashioned board games and your competitive side and have some fun. 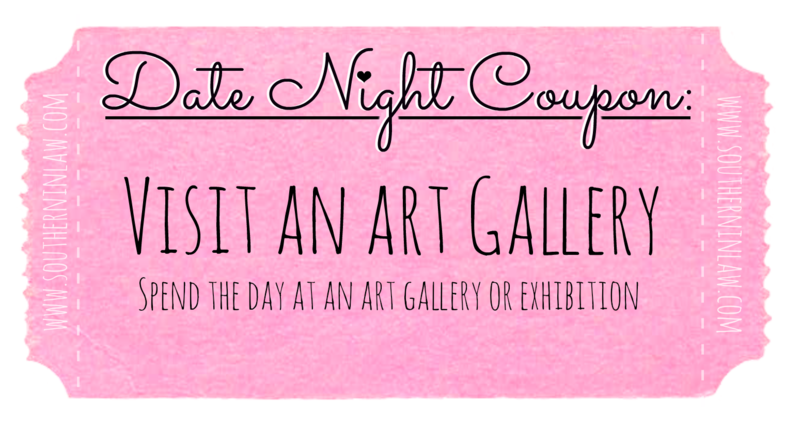 This is also a great group date night idea as you can then play a variety of different games. Our Number One Tip: don't be a rule nazi.... they totally ruin games nights! 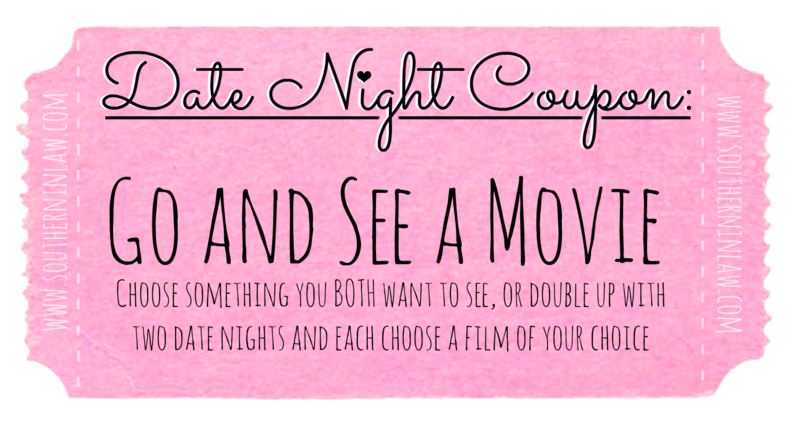 Go and See a Movie: One of our favourite date nights but perhaps the most common date night of all. Movies can be expensive though, so what we usually try to do is buy discount tickets (Event Cinemas have cheap tickets on Tuesdays and a weekly $10 Cinebuzz Club Movie of the Week and Telstra also have $10 movie tickets for Telstra Customers). You can also sometimes buy discount movie tickets in packages - often around the holidays they'll have bulk ticket deals where you can buy a voucher for x amount of movies for a discounted rate. Be sure to checkout deals websites such as Groupon as well. Our Number One Tip: skip the candy bar and bring your own snacks. Our Number One Tip: DIY projects can get expensive - especially when you're buying paint etc. For a cheaper alternative, we often restore pieces or use materials found at our local Op-Shop (secondhand/consignment store) and head to our local hardware shop and check out the discount paint section. Often hardware stores will offer discounted paint when they've accidentally mixed up the wrong colour for a customer or have too much leftover. 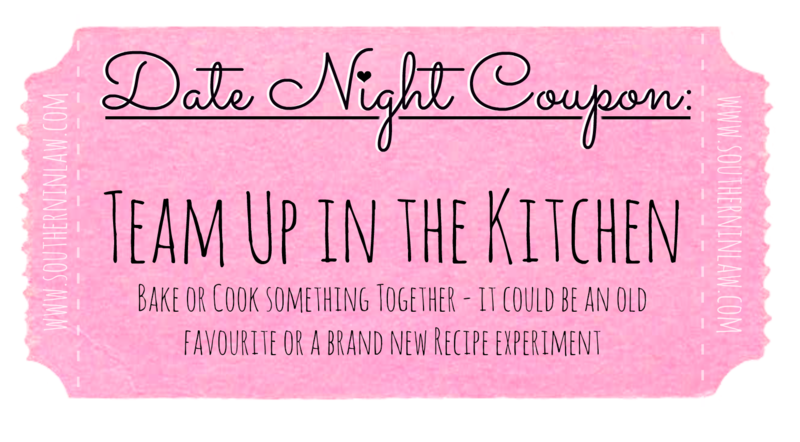 Cook or Bake Something Together - this is something we've started doing recently and it's so much fun. I'm usually the cook and baker out of the two of us, so I'm often in the kitchen alone whipping something up - but it's so much fun to team up with someone else. Jesse isn't quite as confident in the kitchen as I am, so I usually keep things simple - he'll do one part whilst I do something else and then we sit down and eat our handiwork together. Our Number One Tip: don't be a control freak or have a big head. Sure, you might be the better cook, but you're going to turn a fun time into a nightmare if you're constantly telling your partner that you do this better than them or boss them around. Just have fun - if what you're making is a total flop, who cares! Have a Picnic - thanks to my allergies and intolerances, we can't enjoy a meal out at a restaurant - so picnics have become a favourite date for us. Pack up a picnic lunch or dinner, grab a picnic rug and head outdoors. It doesn't matter whether you're at home or at a local park or beach, enjoy some time in the fresh air together. Our Number One Tip: don't invite your phones. There's nothing worse than a "date" where you're both too busy checking Facebook to talk to each other. 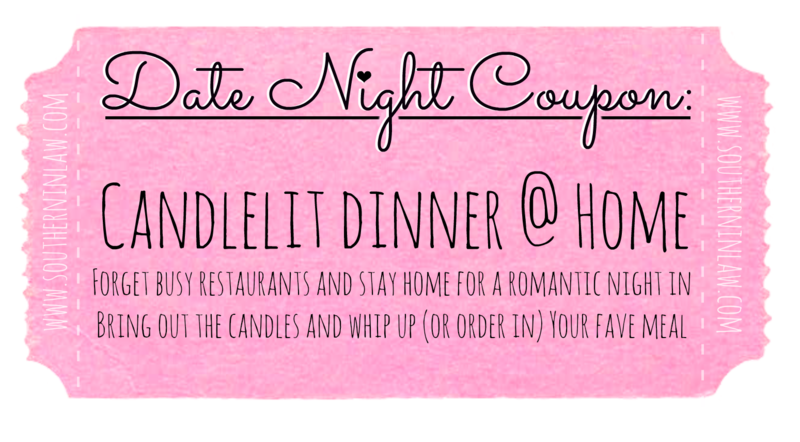 Have a Candlelit Dinner at Home - Restaurant dinners can be romantic - but they can also be really pricey. Trade the noisy restaurant atmosphere for the comfort of your own home and have a candlelit dinner for just the two of you. This is perfect if, like me, you have allergies that stop you from enjoying dinner out at a restaurant. Our Number One Tip: again, leave the phones alone and enjoy each other's company. We always find candlelit dinners at home are way more fun if we cook dinner together - but you can also order in for a stress free, super relaxed night. Play Tennis Together - or any sport that you can do together. 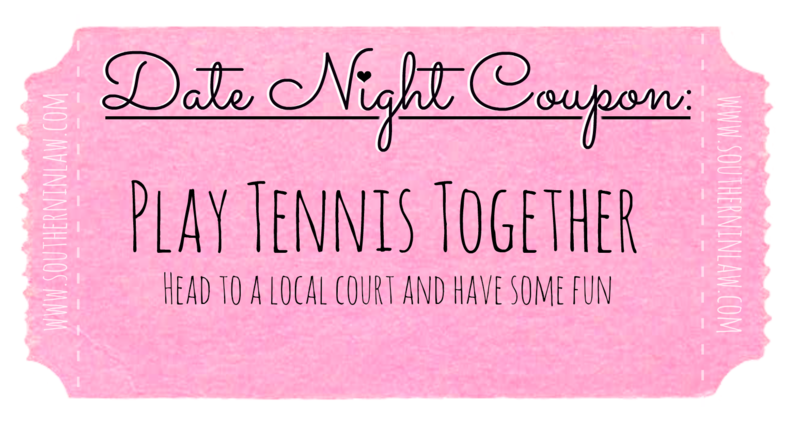 We've played basketball (well, we've shoot hoops together) but playing tennis together is on our upcoming date night list. Lots of local tennis courts allow you to hire a court for a period of time and it can be great fun (as well as exercise). Our Number One Tip: don't be too serious - have fun with it! Instead of keeping score, just enjoy each other's company - and if one of you is better than the other, teach your partner some tips! Go and See a Concert - I know what you're thinking, Kristy you said affordable date ideas - concerts aren't affordable. But they can be! You don't have to see someone big - check out who's playing at local venues. The other way to make concerts more affordable is by checking out deals websites, buying tickets in advance or using services like LastTix which allow you to buy super cheap concert tickets at the last minute. Spontaneous but so much fun. 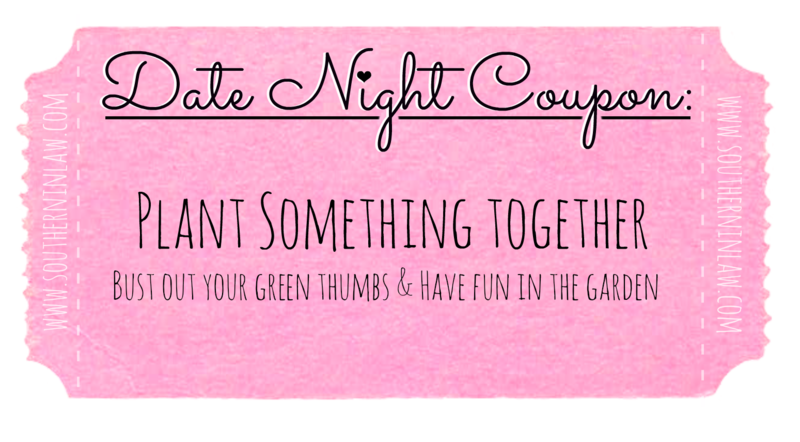 Our Number One Tip: Remember that the best nights are usually unplanned, random and spontaneous - you don't need to plan out a date night weeks in advance, sometime last minute dates are the best! 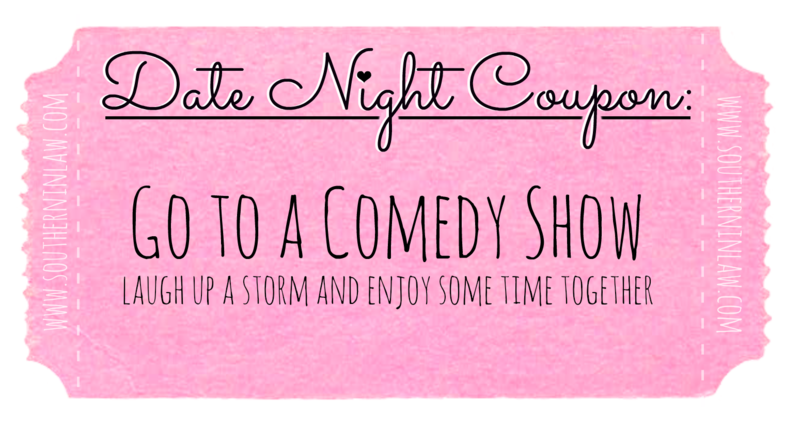 Go and See a Comedy Show Together - Again, not something you'd think of as an affordable option, but it's totally do-able! Sometimes, up-and-coming comedians are the funniest as they don't have a big ego. Have a look to see if there's any local comedy shows on at pubs or clubs and check them out. Our Number One Tip: Have fun with it - even if the comedian is totally awful, you can still make it funny with your own inside jokes and commentary. Go for a Drive - hop in the car and explore, whether it's to somewhere new or somewhere a bit farther away than where you'd usually go. We love heading out for a day to the National Park or Kiama - the drive takes quite a while, but it's so much fun just getting out of the house and enjoying time together. Our Number One Tip: Enjoy the ride - don't have your head stuck in your phone, put together a playlist of some of your favourite songs, stop at sight seeing spots and don't be afraid to change your plans if you think of something better during the drive! 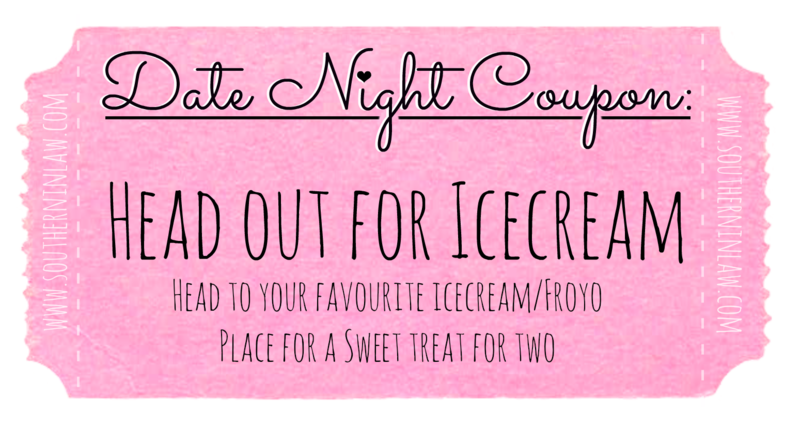 Head out for Icecream - Head to your favourite icecream/froyo place for dessert (or even check out a cupcake shop or patisserie) and enjoy a sweet treat together. 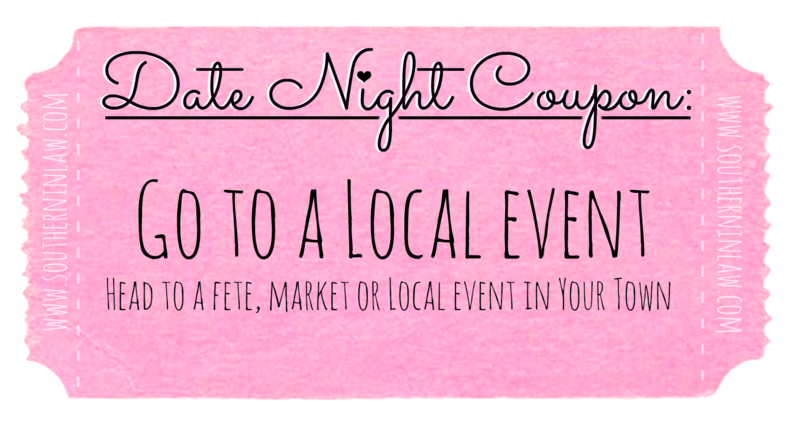 Go to a Local Event - There is always something on in our local community, whether it's fetes and markets or food and music festivals. Local events are often the cheapest and can be a great day out. Our Number One Tip: Keep an eye on your local paper, that's where local events will often be advertised - or check out the community notice board if you have one in your town. Visit an Art Gallery - Sydney is notoriously expensive, but what many people don't realise is that there are quite a few art galleries and exhibitions that are either free (such as the Art Gallery of NSW) or really really cheap. We're kinda dorky and love learning and discovering new things together so this is one of our favourite date days. Our Number One Tip: Enjoy the time together - don't get too stuck into the art, talk to each other about everything - you'll never know what you'll find out about eachother! Take a Hike - This is one of my favourite date night ideas as I loveeeee hiking and being outdoors. Research local trails and go exploring together! Our Number One Tip: Be prepared - hikes can take more time than expected so be sure to pack up some food, plenty of water and sunscreen. 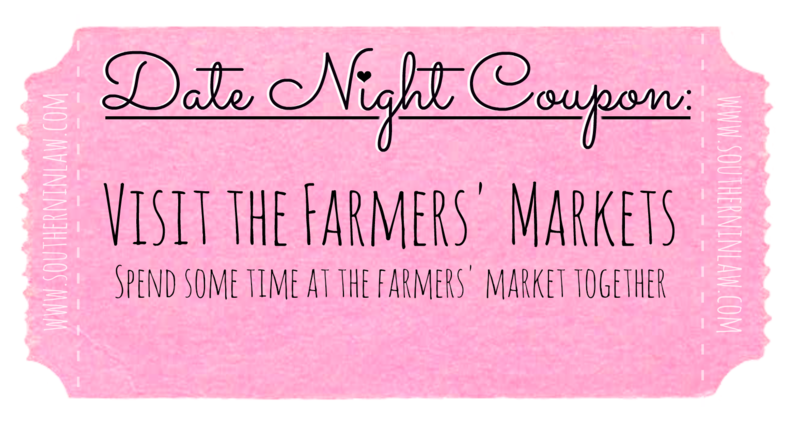 Visit the Farmers' Markets - Another one of my favourites as I love fresh produce. There's not any Farmers' Markets in Louisiana where Jesse used to live so we love heading out to local farmers markets together. Grab a bite to eat, pick up some fresh produce and head home to create something with it! Our Number One Tip: Buy something that you've never tried before and go home and cook it together! 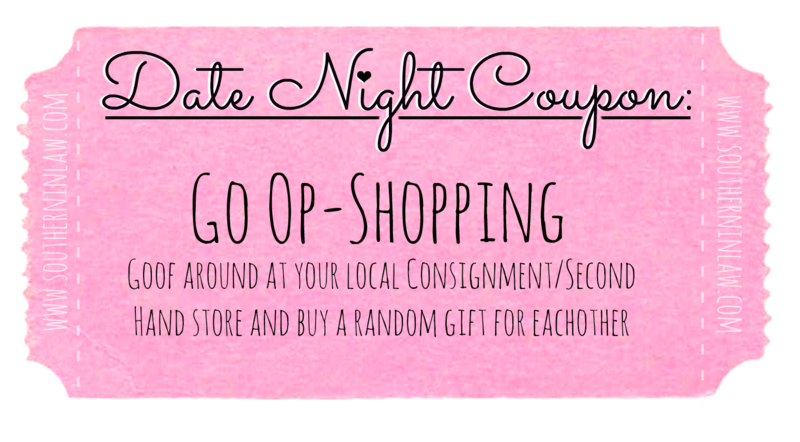 Go Op-Shopping Together - Head to your local op-shop/consignment shop/second hand shop and buy a random gift for each other (and laugh at all of the random things you'll find there!). We often head to the op-shops to pick up some items for a new project (it's how we started all of our furniture restoration projects) or just to have a laugh. Our Number One Tip: Have fun - buy something silly or just have a laugh at what you can find. 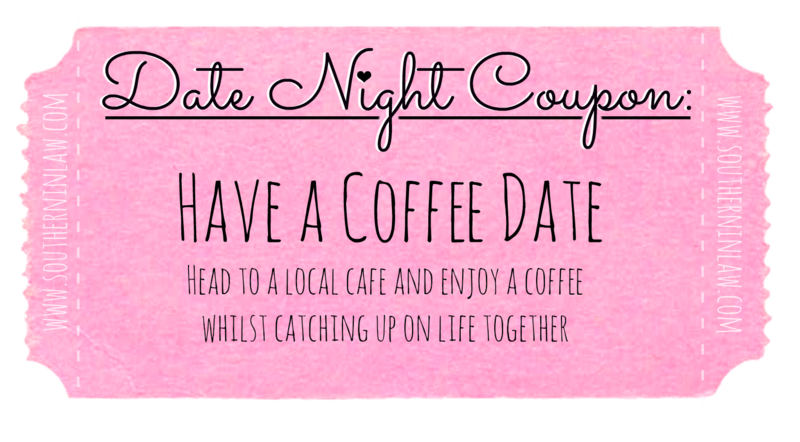 Have a Coffee Date - Coffee at home is pretty boring, but heading out to a cafe or coffee shop can make it a little bit more special and date-worthy. Enjoy a coffee together and catch up on life. Our Number One Tip: This is another date where your phones shouldn't be invited. Also, be sure to pick somewhere with comfy seats, great coffee and a good atmosphere - that's a must for us! 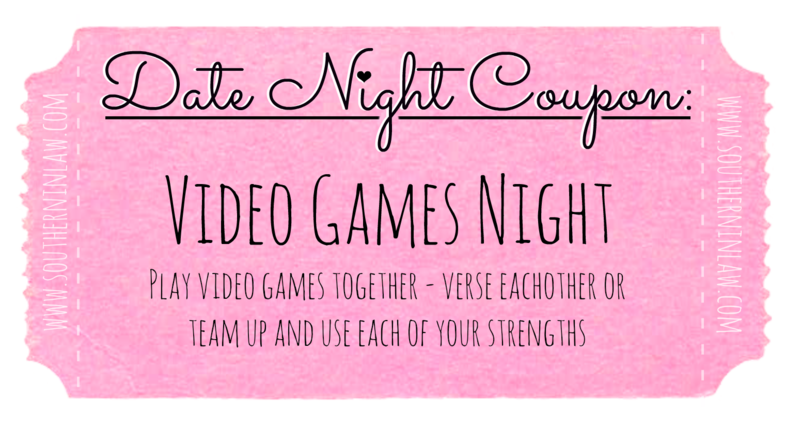 Have a Video Games Night - I don't think I have to tell you that this is one of Jesse's favourite date nights, do I? I am always nagging Jesse about playing games because I'm left out, but when we play something together it's actually really fun. Our Number One Tip: Play something you can both play together - like Mario Kart or a multiplayer game. Don't take video games night as one watches the other play their game, because that's totally boring. 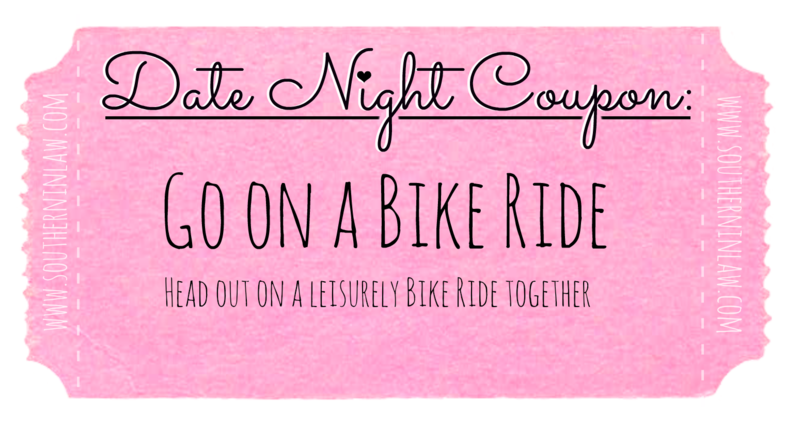 Go on a Bike Ride Together - take a leisurely ride together. If you have your own bikes, you're one step ahead - but if you don't, many bigger parks offer bike hire so see if that's an option! Our Number One Tip: Take it slow and ride and talk! Be sure to stop for a breather so you can spend more time together too. 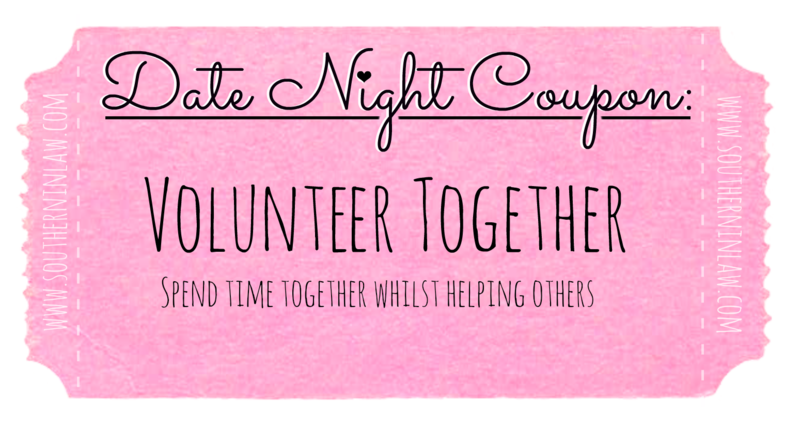 Volunteer Together - Volunteering makes you feel so good and it's even better when you're volunteering with someone else. Whether it's a local soup kitchen, church ministry (we volunteer as leaders of the youth group at our church), nursing home or something totally different, you'll find that you learn a lot about each others' characters through volunteering. Our Number One Tip: Find something to do where you can work together, as that's when you'll enjoy it the most! Have a Movie Date at Home: Another one of my favourites - and my annual birthday tradition! 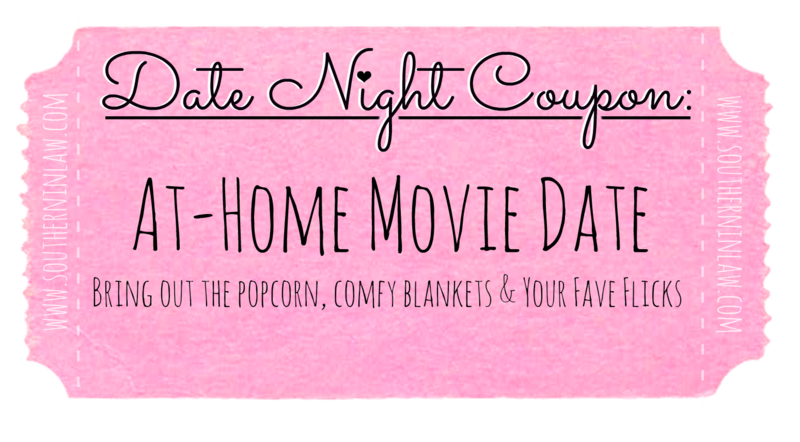 Grab your comfiest blankets and set up a movie date in your loungeroom or bedroom - but don't forget the popcorn! Our Number One Tip: Either find a movie you will both enjoy - or have a movie marathon and take turns in choosing the movie. 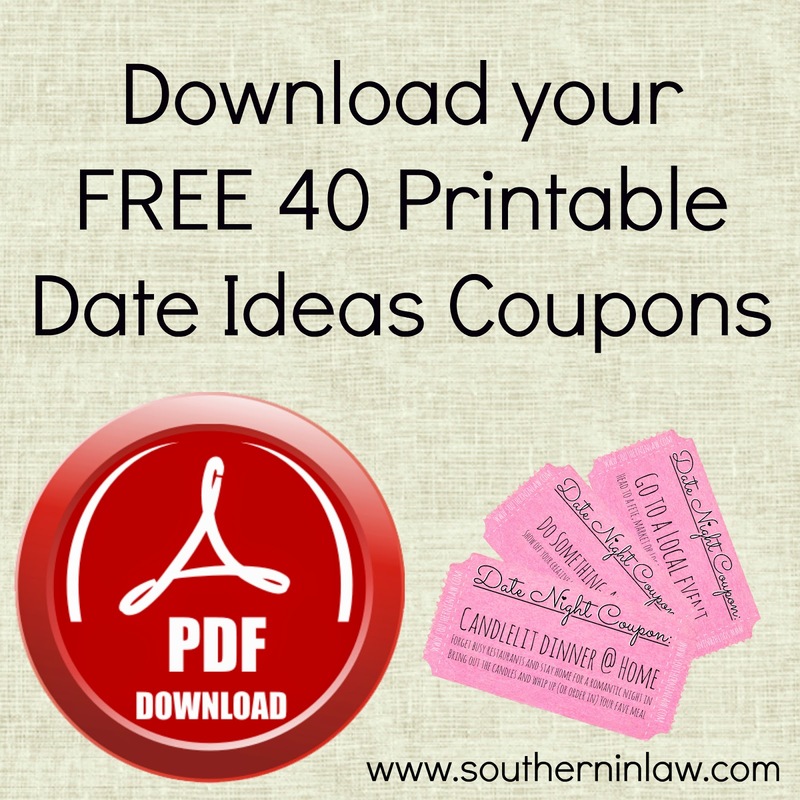 Work on a Memory Book or Photo Album Together - You're probably thinking that your boyfriend/husband/partner/fiance would totally run for the hills for this date idea, but you'd be surprised! I didn't think Jesse would be interested, so I started working on our wedding and honeymoon memory books myself, only to have him plonk himself next to me and want to help too. We looked through all of our photos, wrote down memories and thoughts and it's a date idea that will bring you closer together as a couple. Our Number One Tip: Take your time! No one says you have to get it finished in a day. Head to the Local Playground - Preferably when it's not overrun with kids! I don't care how old you are, it's still fun to swing on a swing set. Act like kids and have fun together - talk, laugh and enjoy yourselves. Our Number One Tip: Don't be afraid to be silly, growing old is mandatory but growing up is optional. Tick off some Home Projects - We all have to do lists, and we all have a million and one excuses why we haven't done that thing that needs to be done around our home. Instead of procrastinating, tackle your to-do list together - whether it's fixing that creaky door, weeding the garden or whatever else needs to be done. Our Number One Tip: Work together - two sets of hands are better than one. Plant Something Together - Break out your green thumbs and work on a garden project. Whether it's planting a veggie patch, putting in some new flowers to freshen up your front yard or doing those necessary jobs like weeding. Have Breakfast for Dinner - Of course the breakfast queen suggests Brinner - but it's actually really fun! Jesse and I don't have time to eat together in the weekday mornings (I usually make his breakfast first and then make mine whilst he eats) and on the weekends I'm usually up early whilst he sleeps in - so it's fun to take the time to have a Brinner Date. Our Number One Tip: Make something that you usually don't have the energy to make for breakfast - like pancakes, waffles, french toast or something a little bit fancy. 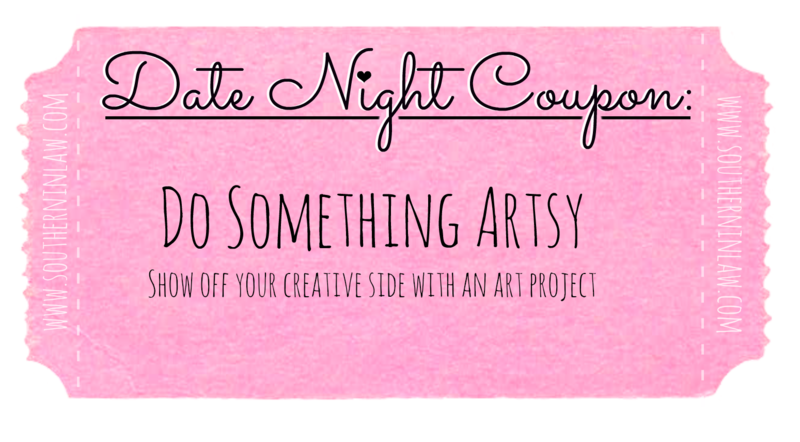 Do Something Artsy - Draw, paint, create - get out your creative side and work on an art project together. Our Number One Tip: Don't take yourself too seriously - just have fun! It's easy to become frustrated when working on art projects, just remember that no one is expecting you to be Picasso. 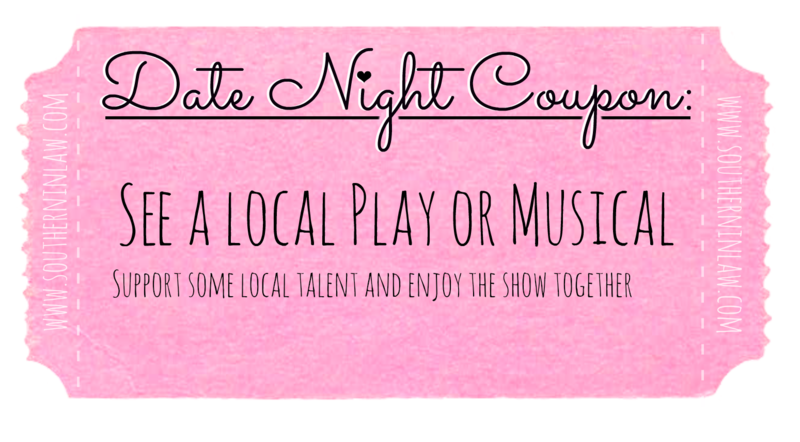 See a Local Play or Musical - Amateur and local theatre companies are way cheaper than big budget productions - but can still be just as fun. Check out local schools, theatre companies and auditoriums to see if there's something you can go and see. Our Number One Tip: Remember that you're not seeing Hugh Jackman perform and don't set your standards way too high. These are people who are passionate about what they're doing so you should respect that. Head to the Beach at Night: If you're lucky enough to live close to the beach, take advantage of it. There's something about being at the beach at night that is so much better than during the day - you can hear every wave crashing and everything has a moonlit glow. 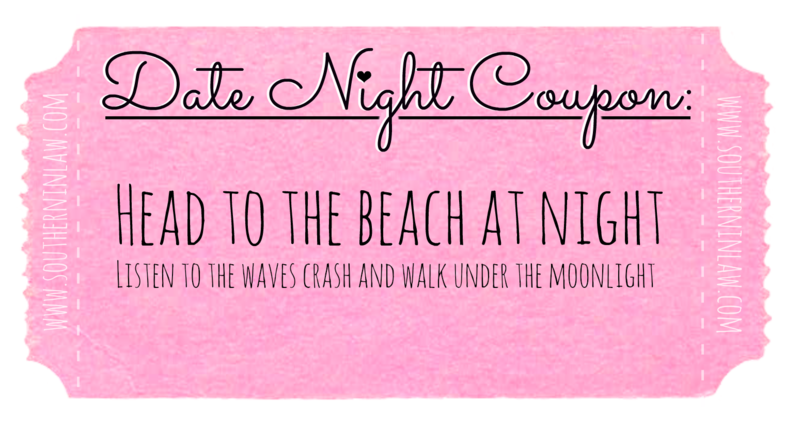 Our Number One Tip: Try to head out on a full moon night as that's when the beach really looks its best. 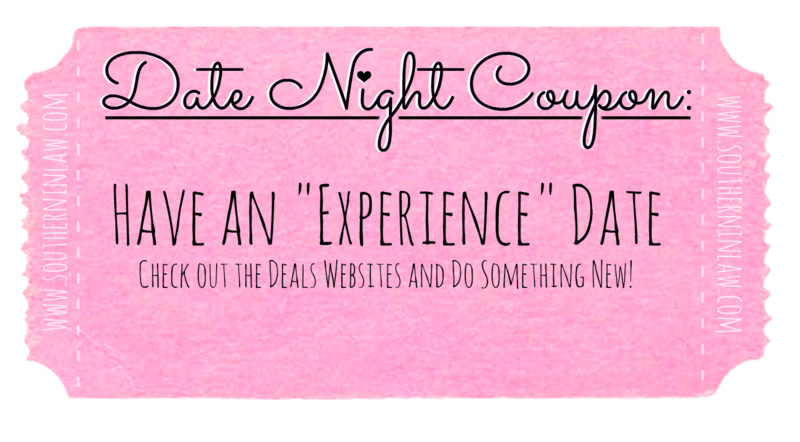 Have an "Experience" Date - I have a love/hate relationship with deals websites like Groupon as they can be either really good or really bad. Keep an eye on these websites, though, because sometimes you can get an incredible deal on different "experiences". Try something new as a couple - whether it's heading to a rock climbing gym, hitting the golf course or even taking a cooking class. 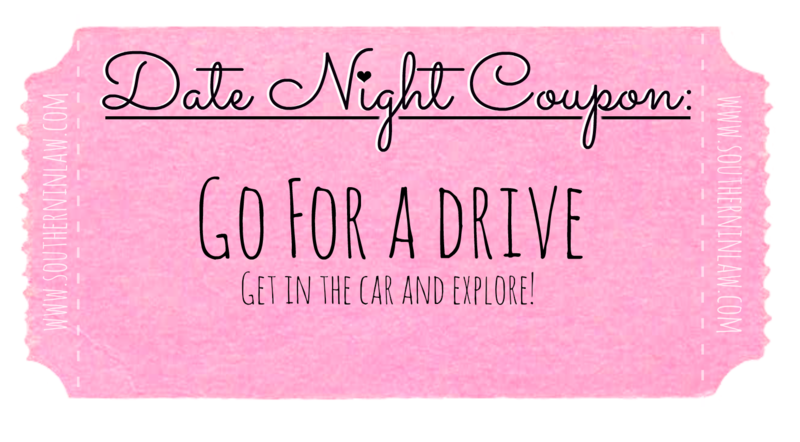 Keep an eye out for deals on experiences as they can make for an incredible date! Our Number One Tip: Don't be afraid to step outside your comfort zone - that's sometimes where you'll have the most fun! What was the best date you ever went on? and Do you have your own Affordable Date Ideas? I love this! You have so many good ideas! My husband and I love ":at home date nights" of cooking a nice dinner together while sipping some wine and watching a movie or catching up on our favorite TV shows. Speaking of, we need to plan one soon! What can I use instead of the flaxseed?? ?